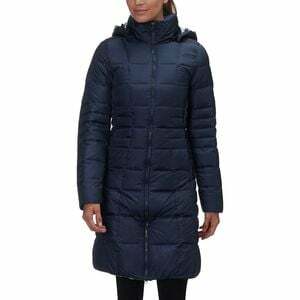 Making every winter feel just a little more like summer (without all the humidity), The North Face's Metropolis II Parka is stuffed full with cozy goose down to bring you warmth in a timeless fashion. Its shell is coated with DWR (Durable Water Repellent) for water-resistant protection, and the recycled taffeta lining has a soft touch for lasting comfort. The Metropolis II also features an adjustable hood that's removable for adaptability on the warmer, sunny days, while the zippered hand pockets provide a perfect place to keep your digits nice and toasty when you forget mittens. And if you want some music to accompany your day, just slide your headphones through the media loop and crank the tunes from your phone, safely tucked away in the internal pocket.